Maestrovox Ps-Mod, Virtual Organ from Precision Sound. Precisionsound has released Maestrovox Ps-Mod. for NI Kontakt 4. The Maestrovox Consort is a tube-based synth/organ in the style of Clavioline and Solovox. The Maestrovoxes were built in the UK by Victor Harold Ward in the 1950s. Precisionsound has sampled the whole tonal range in half note steps for all the 7 register settings. They then fine-tuned every sample. The whole library has over 400 24-bit mono samples in a monolith file, compressed down to a file size of 190MB. The library also contains 36 presets as starting points. With the Precisionsound Modification (Ps-Mod.) there are 128 voice polyphony and the ability to tweak registers with control over volume, pan, octave and fine tuning, separately for each register. Precisionsound has added filters, ADSR envelope, Arpeggiator, Distortion, Cabinet simulator and more. 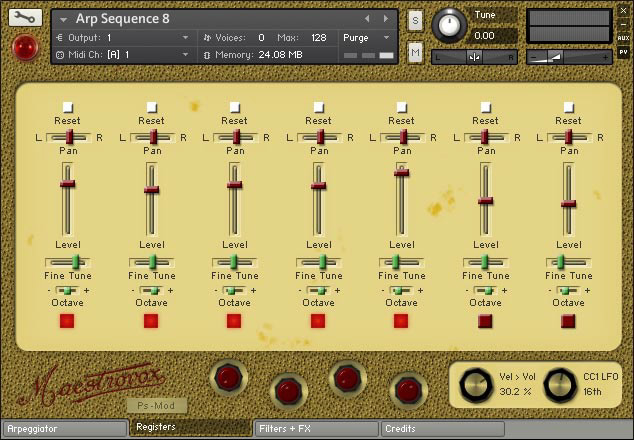 With the sampled core sound of the Maestrovox and the added functionality you can get "screaming leads, blippy sequences and old school analogue tones." Maestrovox Ps-Mod costs $19 (+$11 on DVD) you need the full version of NI Kontakt (not the free player) to use this library. 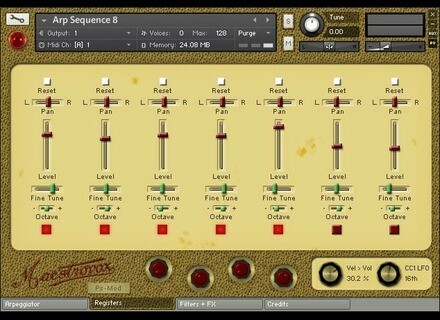 SKnote StripBus StripBus is a console emulation set developed by tests and measurements on analog consoles, taking into account input stage, EQ, saturation on channel strip and saturation, bus compressor on main bus. Togu Audio Line TAL-Vocoder 2 v1.0 Togu Audio Line has released version 1.0 of TAL-Vocoder-2, a freeware vocoder effect plugin for Windows and Mac. Lithium Sound Acidlab Lithium Sound has released Acidlab, a free virtual synthesizer instrument plugin for Windows.